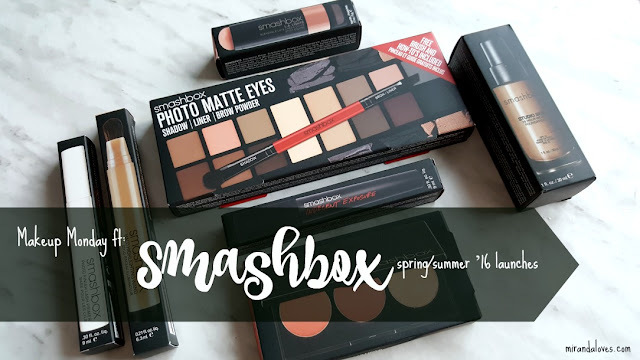 For today's Makeup Monday post, I'm so happy to bring to you my first ever one-branded tutorial featuring all Smashbox Cosmetics products - most are from the new Spring/Summer 2016 collection. Before I get started with the look, I wanted to share with you some swatches of the brand new Photo Matte Eyes ($60 CAD) which can serve as a shadow/liner and brow powder palette. 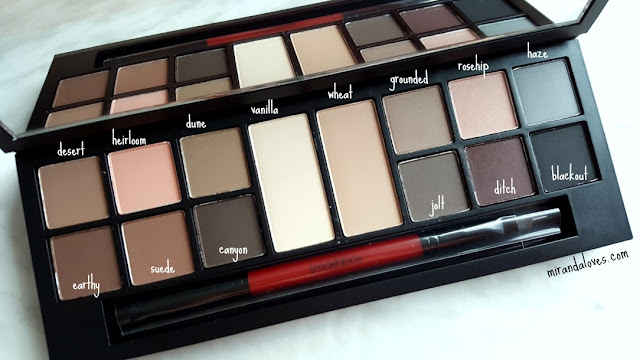 This palette's focus is on shaping the eyes - it contains 14 neutral mattes, 2 of which are base shades (the bigger pan ones). 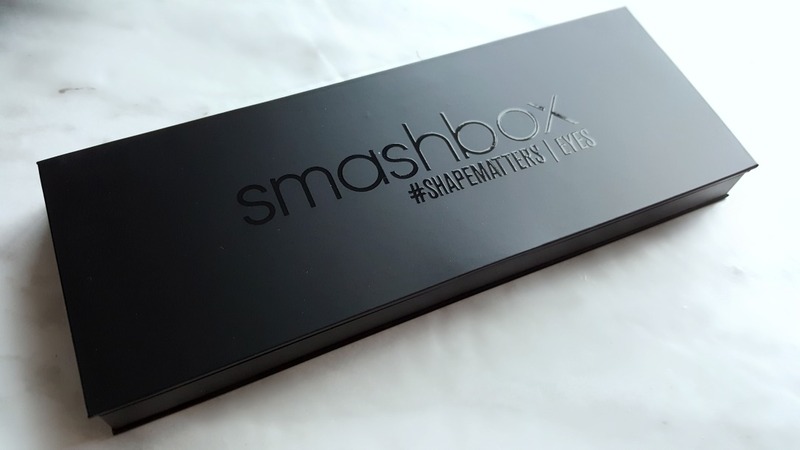 It also includes a double ended brush for convenience and the shadows can be used dry or wet. Below is the new L.A. 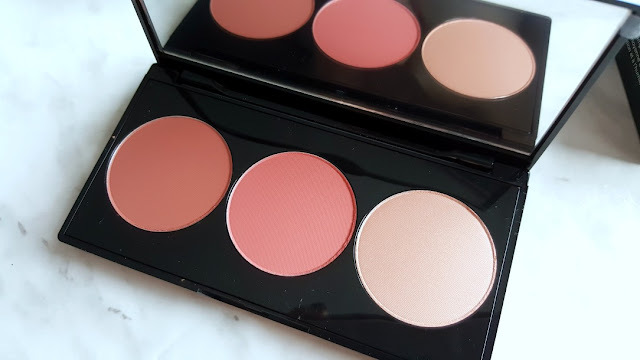 Lights Blush and Highlight Palette ($39 CAD) in City Coral which includes two blush shades and one complimentary highlighter to help shape the perfect cheeks - in the pictures below, I did not use any contouring products, but by applying the darkest blush color at the base of the cheek, followed by brushing the lighter coral color and following with a sweep of highlighter on the upper cheek bones, you can clearly see that I look like I have some pretty amazing cheeks :) woo! 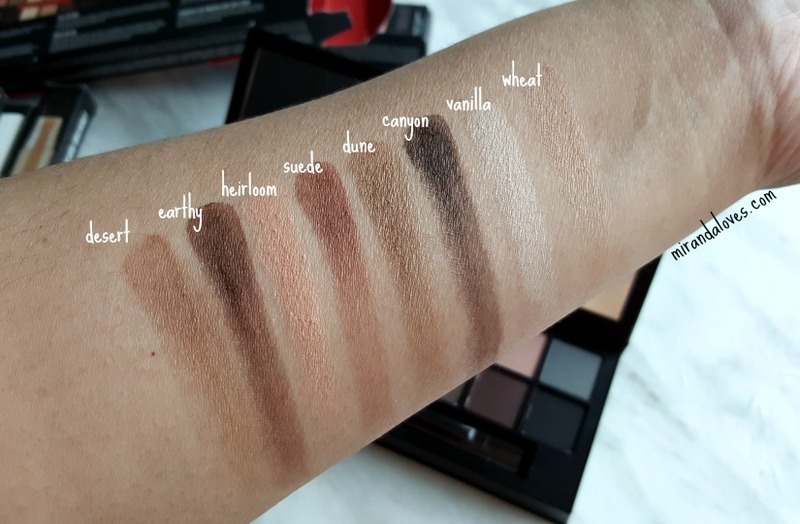 Below are swatches of the Halo Highlighting Wand ($38 CAD) - top and the L.A. 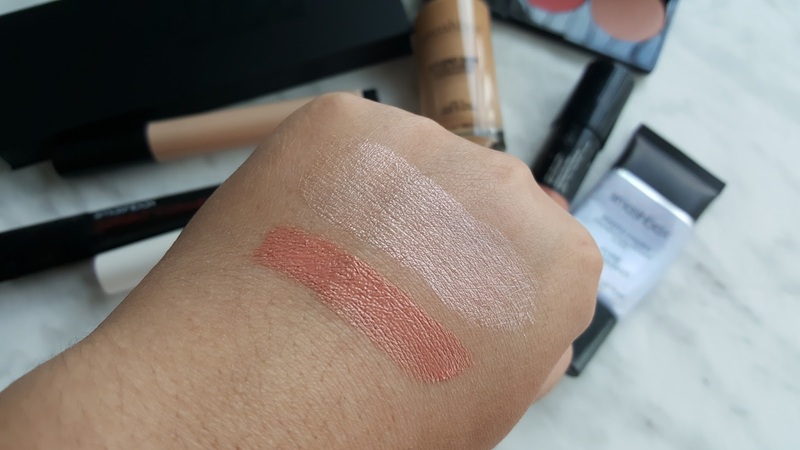 Lights Blendable Lip and Cheek Colour ($36 CAD) bottom. 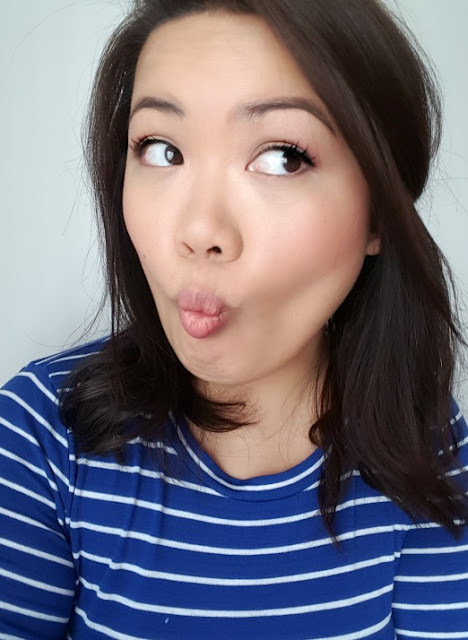 Alright, onto the main event - the actual Makeup Monday post!! WOOOOOO!! 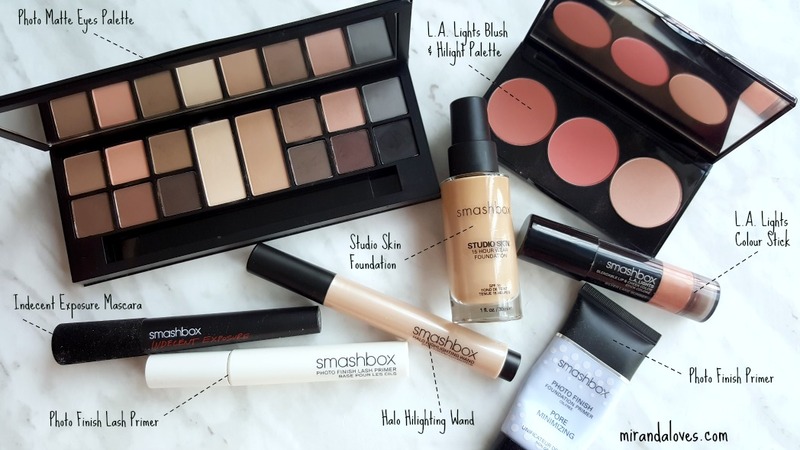 Because this is the new Spring/Summer 2016 collection, I HAD to do something super youthful and dewy. I decided to do a soft cut crease shadow with a coral lip and matching blush and let the focus be on the ultra highlighted and dewy skin. To achieve the look the glowing skin base, I actually mixed a a bit of the Halo Highlighting Wand on the back of my hand with the Studio Skin Foundation (I'm in shade 2.4 Natural Beige). With that concoction made up, I blended it onto my face with a foundation brush. 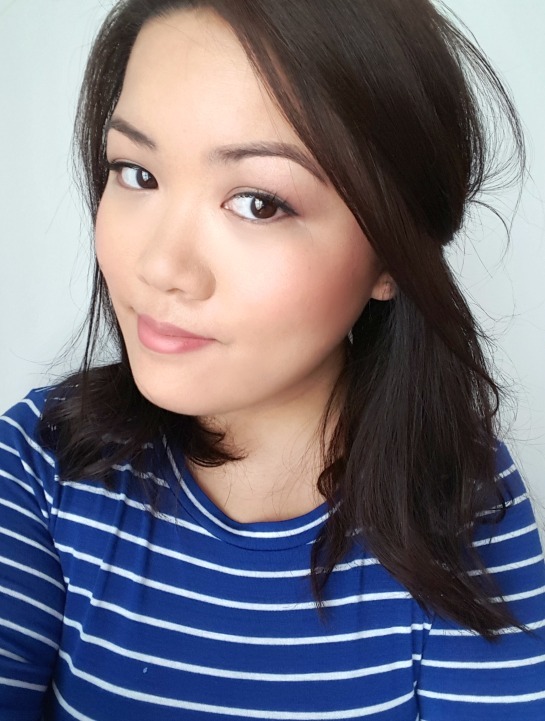 Since this foundation is really buildable, I just buffed a bit extra on my under eyes to hide my dark panda eye circles. 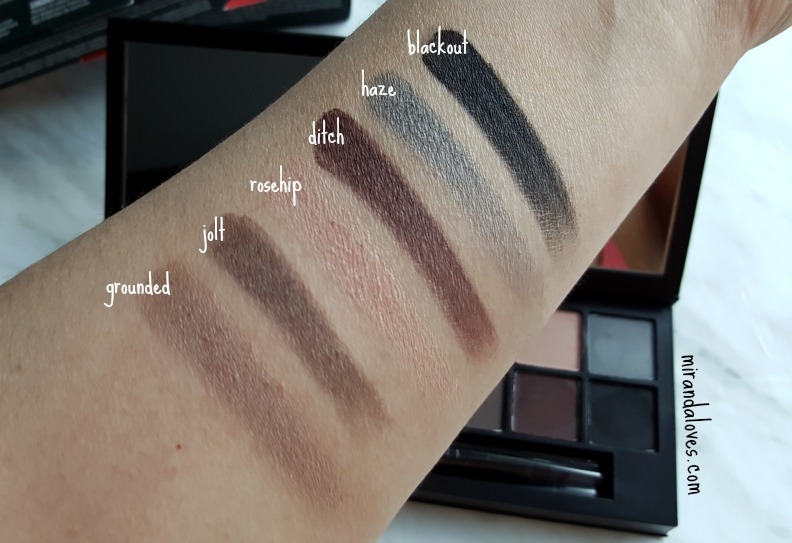 For the eyes I used the Photo Matte Eyes Palette - I first buffed rosehip all over and then used ditch to define the crease. I patted heirloom on the main lid after to clean up buffing of the crease. I lined my eyes with blackout and did a very small wing. This was just enough to define my eyes a bit and give me that almond shape I long for :) I blended earthy on the bottom lash line for some additional definition. For the brows, I filled them in with a mix of jolt and grounded and used the double ended brush that was provided. The lashes - oh my goodness, the lashes - I am now in LOVE and will stick with this power duo! 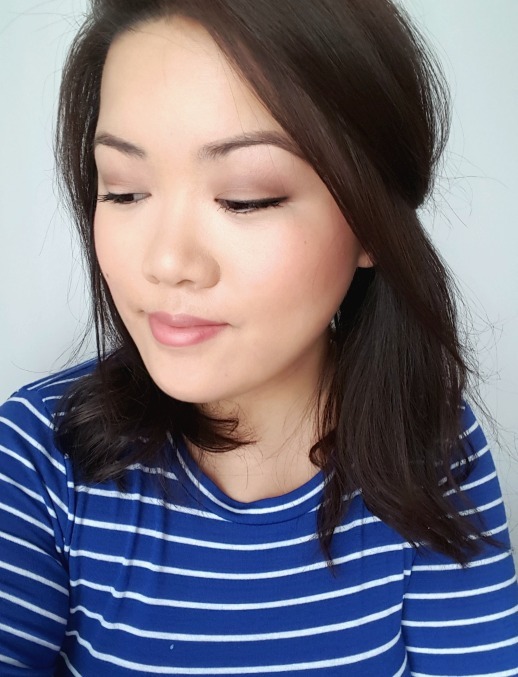 The photo finish lash primer actually does it's job! It adds volume and length and does not clump up your lashes and tangles them when it's dried. Also, when I apply the Indecent Exposure mascara on top of the primer, it perfectly coats and hides the white cast that was left over. There is on residual evidence that I used a primer to achieve these lashes. In the picture below, You can see that the lashes look like I have some half falsies applied on the outer corner and I LOVE this look. For once my eyes don't feel completely naked without having to wear falsies for a Makeup Monday post. Overall I am so utterly satisfied with the entire Spring/Summer 2016 collection that I am already using them on rotation. I will definitely post a few more looks with this palette in the near future!